This article covers the advanced math to calculate expected value when making covered spread bets on NFL on multiple sports books. Because betting on the NFL typically involves a point spread, this naturally creates some arbitrage opportunities when comparing the lines offered on multiple sports books. On November 3rd 2014 I observed the following situation and recommended the following play to my VIP Subscribers. I am officially going with the Colts for 3 units on MNF. The Colts lost their last game due to Big Ben throwing up a record game. If there is one thing the Colts seem to be good at with Luck behind center its bouncing back after a loss. The Colts are 11-1 following a loss since Luck started. Another interesting fact, Eli Manning has never won against the Colts in his entire career. In the end I think this game boils down to who has the better receivers, and I have to give the advantage to Indy, they are 1st overall in points scored, 1st in total yards and 1st in Passing Yards. Overall the stats say they should dominate this game. The Giants are 21st in points at 22.0, 22nd in Yards at 332.7 per game and 24th in passing yards at 219.1 per game. The Giants have been decimated by injuries and I just don’t see a 2nd string supporting cast being enough to keep up with the Colts. If you have accounts on both Pinnacle or 5Dimes and Bovada or Bodog you can get another middle play opportunity tonight as Bovada’s line is off at +3.5 for the Giants. In the NFL games, with a spread of 3 have historically landed on that number about 9.8% of the time over the past 10 years. This means that if the line is accurately set at -3 we are getting enough added value with these two lines to make this bet and earn a profit over the long run. We are effectively risking 0.5 units for a chance to win 10 units. This works out to a 20x return. This may seem a bit complicated. I am actually going to write a blog post to explain exactly how the math works, so check back to the site later tonight if you want to read up on it. For now, just trust me that the math works and it’s a good play. Note that this 10 unit hedge play is in addition to the 3 units I already have on the Colts, as I think the Colts are the clear favorite in tonight’s game. Let’s look at the math for each of these plays. We will assume for simplicity sake that we think the line of -3 is a true market rate and that either team is equally likely to cover. This chart indicates the % of the time that a game will end exactly on the projected spread. Thus each team has a 45.1% chance of covering the spread, and the remaining 9.8% ends on exactly -3 for the Colts. This is important as we are getting a line that allows for a win and a push if the spread ends on exactly -3. Recall that we are assuming that the % chance of a PUSH at -3 is 9.8% - because this would be a WIN if we placed the bet at Bodog or Bovada, we actually add this 9.8% to the chance of winning. So in the end we have are gaining 0.62 free units of expected profit for every 10 units bet. Note that while writing this article the line on Bodog/Bovada actually went to +4 at -110 for the Giants while the line on Pinnacle stayed at -3 for the Colts but the VIG moved to -108. To show how this impacts our expected value I will recalculate the Expected Value and include the additional push value if by chance the Colts win by 4. This now adds another dynamic to the equation as we now have 2 push bets, one on either book. We must make an assumption as to what the true market price is. To do this I will assume the line at Pinnacle is accurate as this is the largest betting market, and they effectively set the lines for other sports books. To calculate the expect profits now we will use the Push chart data from above and remove the 3% chance of the total falling on -4 for the Colts as this is now a push. This essentially works out to free money, as we previously assumed this -4 number was a loss. We will take the 3% out of the losing side as the -4 is now a push. Note that even with the increased chances of pushing with Colts winning by 4 the expected value was reduced as a result of the increased VIG paid on both sides of the bet. For simplicity I assumed that the -3 line was an accurate line and represented the true market price with each team having an equal chance of covering. In actual fact, I have this game handicapped closer to the -4 line for the Colts, which means that we should be betting more on the -3 line to maximize our long term expected profits. To my VIP subscribers I recommended the following play. Always be cautious when betting more than your normal amount. Especially when making large covered bets like this you need to make sure your accounts on both books will allow you to bet enough to cover yourself. DO NOT use this strategy with obvious off market lines. There will be occasions where you will find a bad line where the favorite is mistaken for the underdog. DO NOT use this strategy in these situations. The chances are that the sportsbook will Cancel your wager once they catch the error and you will be stuck with a large open position. NOTE Bodog or Bovada cancel these wagers all the time, so proceed with caution. If you find this type of situation in Vegas you can be assured that your ticket will be paid, a Betting ticket in Nevada is considered a legally binding contract and cannot be cancelled. This is not the case when betting with online sports books, many online sports books will cancel bets that they consider to be off market, so proceed with caution. If you do get stuck with an open position due to shady operation, your options are fairly limited. You can report it to sportsbookreview.com but that doesn’t guarantee your ticket will be paid. Always save a copy of your pending bets, especially when making larger than normal plays. 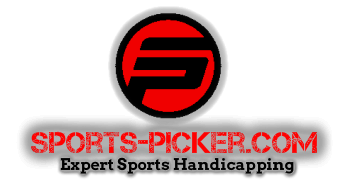 Additionally - Note that if you make this type of play too often for very large out of character bet amounts, you are likely to get your account banned from the Sports Book offering the Off Market line as this is considered an Advanced or "Sharp" Sports betting tactic, and NOT considered to be a recreational bet. So proceed with caution.